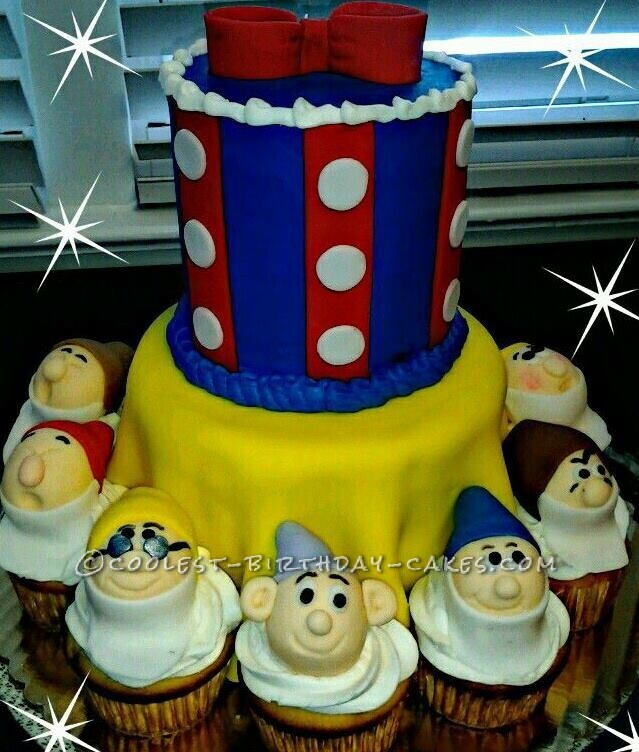 I was asked to make this Snow White cake for someones Dad for fathers day! He happens to be a huge Snow White fan and collector. 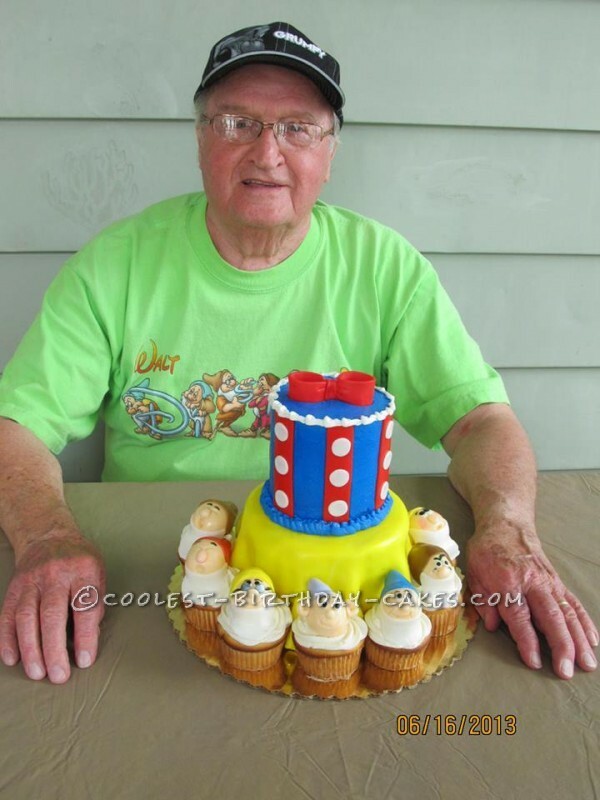 The cake is a 4×6 inch round cake. The top tier is iced in butter cream with fondant stripes, dots and bow. The bottom tier is covered in yellow fondant to represent Snow White’s dress. There are 7 cupcakes around the cake (one for each dwarf). They are each hand made out of fondant. They were so excited when the cake was picked up and could not wait to show their dad. I was told that he loved it and jokingly told them they could not cut it because he was adding it to his collection! I enjoyed making this cake but definitely enjoyed hearing how much it was loved so much more. Enjoy! !